cosmic_orange_vs Visual Style Free XP Theme and Skin download for windows xp, lots to choose from. cosmic_orange_vs .msstyles visual style theme is easy to install using our simple instructions. Some desktop themes require special software to install ours do not, also no sign ups or registration are needed to download cosmic_orange_vs. Our .msstyles visual styles archive has lots of free skins xp themes to download, all are freeware and can be used on any windows xp computer as much as you like. 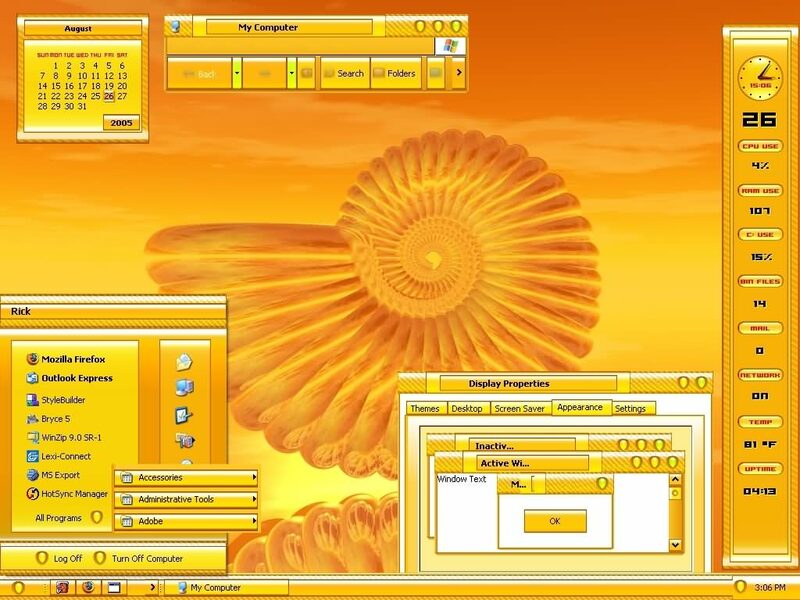 Feel free to download cosmic_orange_vs and as many other windows xp themes .msstyles skins as you like. This cosmic_orange_vs free skin is another free service from The PCman Website.